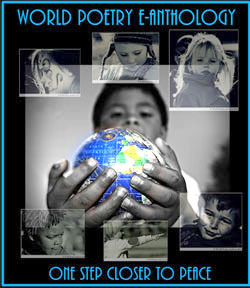 World Poetry Celebrates Rene DeFazio & Tamara Veitch! Ariadne’s Notes: On November 22, 1-2 pm PST the World Poetry Café Radio Show had an amazing show with the power couple Rene DeFazio and Tamara Veitch of The One Great Year Series. 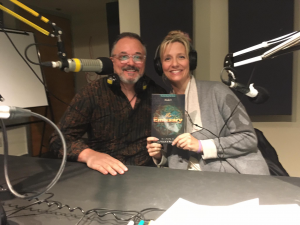 http://www.onegreatyear.com They shared with our radio audience in 115 countries, the continuation of their One Great Year series with their new book The Emissary in paperback and audio sections. These are “must read books” for those liking novels and expanded consciousness . A new welcome song: A Love Spell by the talented musician Laura Kelsey added to this inspiring show. 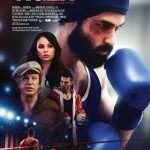 Also featured was Pardeep Singh Nagra, the inspiration of the award winning film TIGER, an aspiring boxer who must fight for his religious beliefs after being banned from the sport for refusing to shave his beard. He called to tell about his fascinating experiences and advice as a human rights activist. He will have the next feature on this site and a review in the Afro News. Tiger opens in Vancouver and Surrey, November 30. It is an important “must see” film. Source: TARO PR. A new e-poet from England also joined us, Stephen Sutton whose poem was read by Victor Swartzman. We are also excited to have a new collaboration: Anhad Films, Delhi based film makers, They make documentaries, short films as well as videos on issues that are of concern to their society. LISTEN TO THE SHOW HERE !!!! Rene DeFazio was born and raised in Canada and currently resides in the Vancouver area with his wife and writing partner Tamara Veitch. Rene is an actor and producer with numerous film and television roles to his credit. 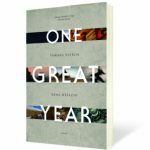 A world traveler and lifelong adventurer, Rene has called upon his unusual and exciting experiences in co-creating The One Great Year novel series. His tireless research and first hand knowledge of exotic locations, customs, sights, and smells help to bring this epic story to life. 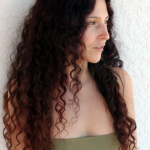 Tamara Veitch is a writer, mural artist, and mother of three. She grew up in Canada and attended Simon Fraser University, studying English, psychology, history and General Arts. Tamara has had a lifelong interest in spiritual wisdom and has carefully researched ancient teachings from many traditions to ensure historical accuracy throughout The One Great Year Series. This entry was posted in Ariadne's Notes, E-Poets, Featured musicians and artists., Featured Poets, General and tagged Author Sharon Rowe, Film: The Tiger, International Peace Award Ariadne Sawyer, Laura Kelsey, Pardeep Singh Nagra, Rene DeFazio, Stephen Sutton, Tamara Veitch, TARO PR., Victor Schwartzman on November 26, 2018 by Ariadne.